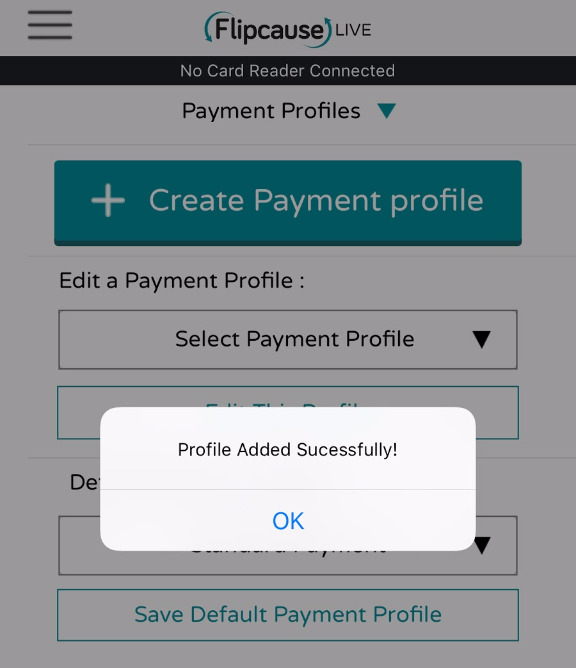 Access Payment Profiles by selecting it from the side menu settings. 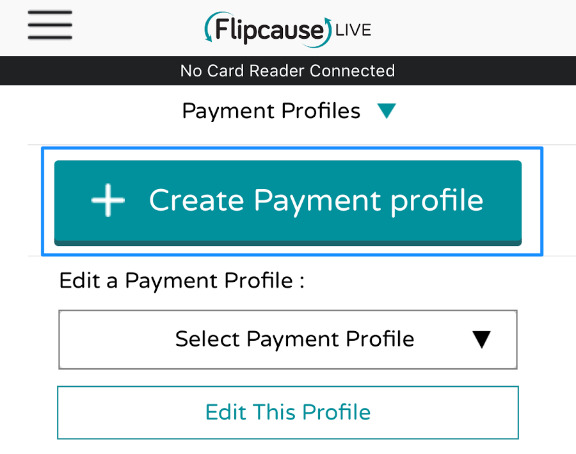 Tap the hamburger menu at the top left corner to reveal the side menu, and tap Payment Profiles to access. 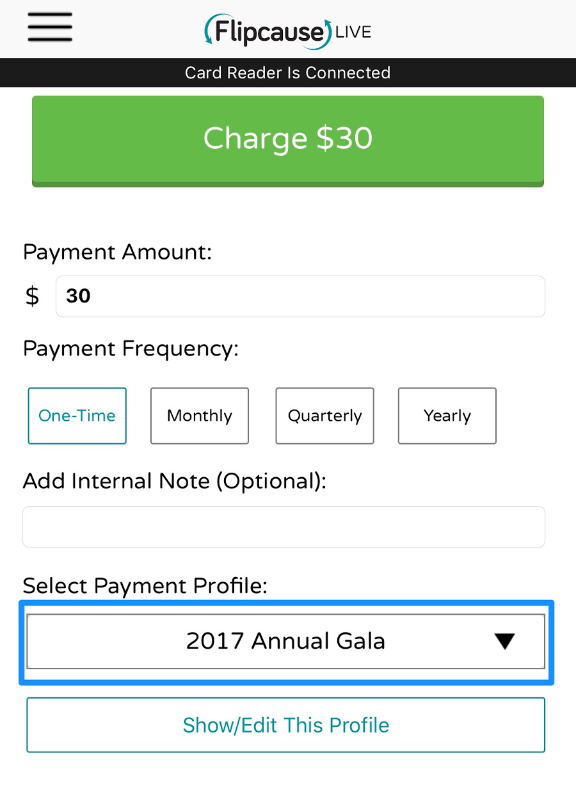 Enter the Title and Description you'd like to set for this particular Payment Profile. It's a good idea to use the same title as the campaign for which these payments will be applied, and add more details in the description as to what kinds of payments this profile is for. Select the Campaign Association. 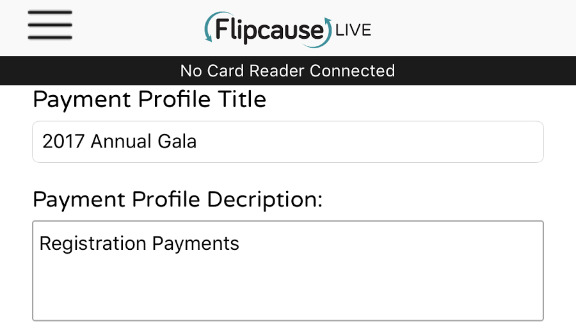 When you process payments through the app and use the Payment Profile, the Campaign Association within the Payment Profile is how the app knows what campaign to log this transaction under. Tap Save This Profile and your profile will be saved for future payments. You'll receive a notification to confirm the profile saved successfully. 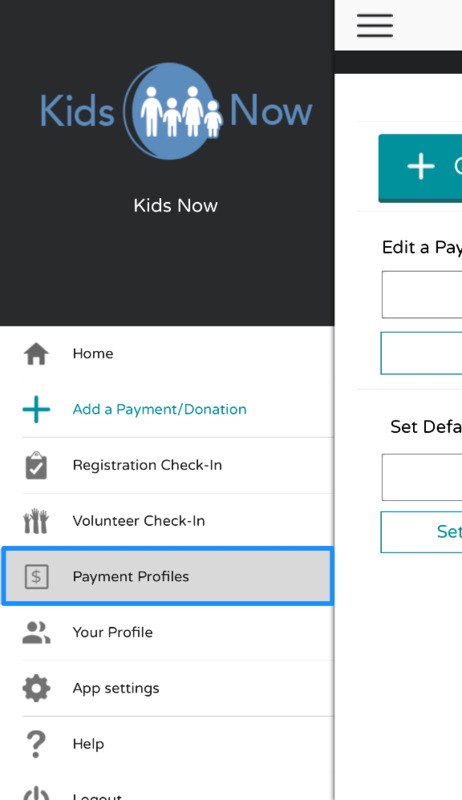 When processing a payment, you can select any specific Payment Profile you've saved and use it towards a donation/payment. 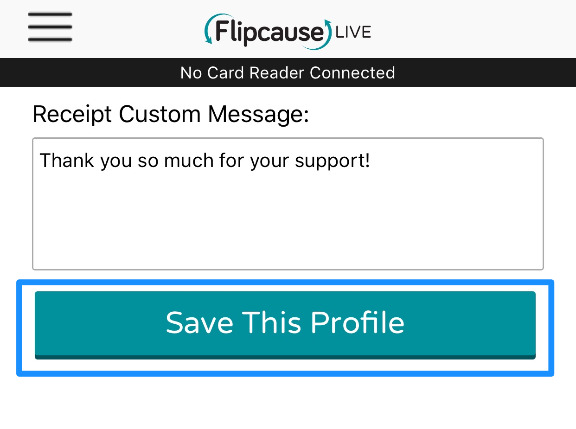 This will automatically apply the sales tax and receipt custom message settings, as well as campaign association with the payment.